Tanner brings a passionate and modern approach to the real estate industry. He is a part of a family operated real estate business that has been growing for many years in Prince George. 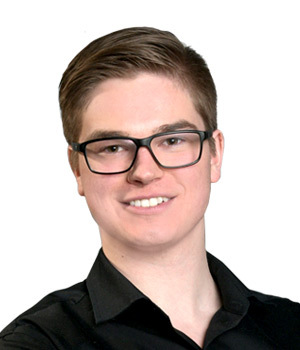 With four years of university experience in both Business and Psychology, Tanner is well prepared for the many aspects that Real Estate offers. Tanner prides himself on giving his clients superior care and service. As your Realtor®, Tanner will be an advocate for you. Whether you are buying or selling, he will work tirelessly to promote your best interests. In a selling scenario, he will work with you to get you the fairest price, in the least amount of time, by using state of the art technology, team collaboration and Royal LePage marketing materials. In buying situations, he will work hard to provide you with the best information and market data to inform and assist you so you can be a well equipped buyer with the strongest possible negotiating position. Tanner understands that buying and selling real estate can be stressful. As a full time Realtor, he will work hard to lower your stress level and make your experience as pleasurable as possible. He will accomplish this through constant communication, and by being accessible whenever you need him. In his spare time, Tanner enjoys outdoor activities such as fishing and golfing. During the cold Prince George winters, he also likes being outdoors, whether it’s playing hockey with friends or going skiing on local mountains.